EVERETT, Wash. Boeing has won a $2.9 billion contract from the U.S. Air Force for 18 KC-46A tanker aircraft, spares, support equipment, spare engines, and wing air refueling pod kits. With this fourth production lot, Boeing now is under contract to deliver 52 KC-46 tankers. 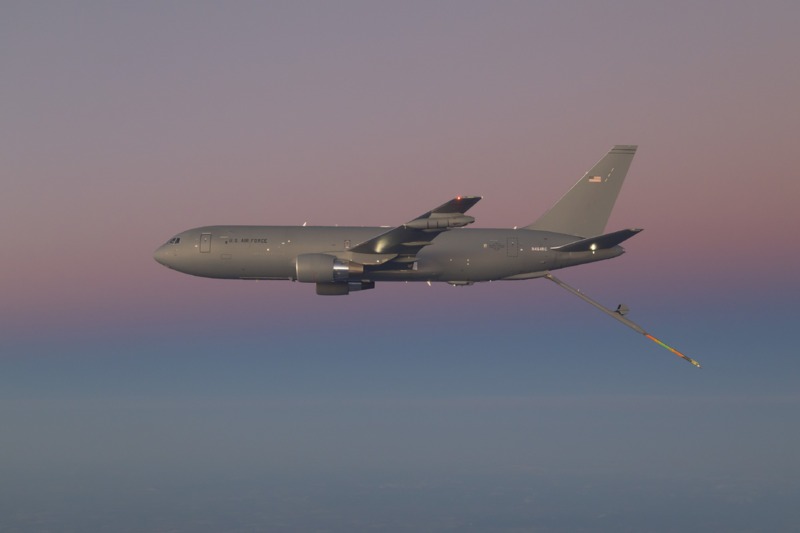 The KC-46A, says Boeing, is a multirole tanker that can refuel all allied and coalition military aircraft compatible with international aerial refueling procedures and is capable of carrying passengers, cargo, and patients. Boeing is assembling the KC-46 aircraft at its Everett, Washington facility.